Enjoy The Versitility Of Benches! Benches can play multi-purpose roles in your home décor. More common uses are near the main entry and at the foot of the bed in a bedroom. Both of these places make the bench a functional accent. Benches are already popular as accents in outdoor décor, but they are being used more frequently in interior décor around a dining room table. Our coastal collection includes benches from casual to sophisticated styles to make the right statement in your home décor. Acrylic BenchThis Acrylic Bench w/ shelf from Pacific Home Furniture is perfect for any room in .. Fish Cut-Out Bench - Coastal Cottage CollectionPacific Home Furniture’s Fish Bench is perf..
Judith Bench....Pacific Home Furniture’s Judith Bench is the perfect bench sure to brighte..
Curve BenchLouis Curve Bench from Pacific Home Furniture is the perfect bench sure to brighten u.. 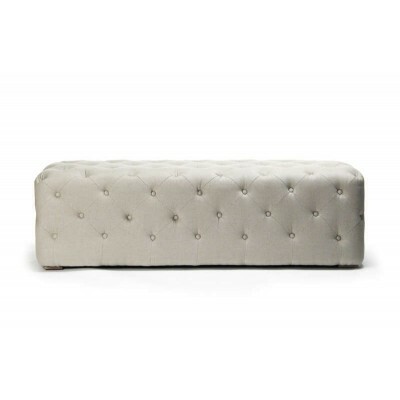 Traditional Upholstered Tufted Bench The Louis styled bench is one of the most popular ..
Beautiful Tufted Bench A long Louis tufted bench from Pacific Home Furniture. This piec..
Beautiful Tufted Bench In Natural Oak The Louis styled bench is one of the most popular.. Traditional Upholstered Tufted Bench A long Louis tufted bench from Pacific Home Furnit..
Small Bench - Coastal Cottage CollectionMagnolia Bench from Pacific Home Furniture is the perfec.. Traditional Tuffed Bench Upholstered and tufted in our signature natural linen fabric, ..
Mulberry Bench - Coastal Cottage CollectionPacific Home Furniture’s Mulberry Bench is..
Tufted Bench Tufted on all visible sides, the Oliver Bench from Pacific Home Furniture .. Bench - Coastal Cottage CollectionPacific Home Furniture’s Palmetto Bench is an adorable a..
Side Bench - Coastal Cottage CollectionScroll Side Bench from Pacific Home Furniture will bright..
Upholstered Bench Ottoman The Victoia Bench Ottoman is a perfect combination of clean l..